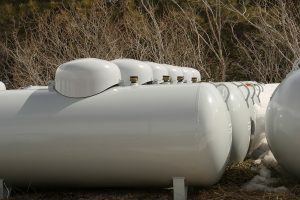 Propane gas is used by countless numbers of people to stay warm during the winter when they do not have access to the city’s gas lines. Northwest Propane Gas Company is here to assist our current and future customers with all of the services that they need in regards to propane gas. Ordering propane gas is not a difficult process. In fact, we make the process much simpler than our competitors. The only thing that you really have to do is contact us when you notice that you are running low on propane. We will take care of everything else, including filling up the tank for you at the time that we schedule when you call. Our philosophy is to meet our customer’s needs, not making our customers meet our needs. We also offer routine deliveries of propane to your home or business. Many customers have found that this is the easiest way to continue to have enough propane without having to worry. We can create a schedule that will fit your lifestyle and your budget. Once we have a schedule in place, we will arrive promptly on the delivery date to refill your tank. If your home heating requires propane gas, you do need to monitor your usage during the winter months. Few customers ever run out of propane when we have routine deliveries to make, but it can happen to anyone. Colder weather may increase the amount of propane that homeowners use to keep their homes warm, so it is important to do a periodic check of your propane levels. We can teach you how to perform this task, and we will do whatever it takes to prevent you from running out of propane when you need it most. There are many suppliers of Dallas propane gas, but we are the leader. We provide unbeatable customer service, prompt and knowledgeable delivery services, and routine maintenance when necessary. Northwest Propane Gas Company wants to be your propane gas supplier, so call us at 800-274-6121 to schedule an appointment.